Westminster, CO is located 10 miles northwest of Denver in Adams and Jefferson Counties. In the 1850s, settlers were attracted to the area that is now Westminster when gold was discovered in the nearby South Platte River Valley. The settlers were encouraged to stay in the area to find their fortune instead of moving on to California. The first permanent settlement in Westminster occurred in 1870, and in 1911, the town was incorporated. The 2016 population of Westminster is 113,130, which makes it the eighth largest city in Colorado. The city is located within the ten-county Denver metro area, which has a total population of around 2.8 million people. U.S. News and World Report has ranked the Denver metro area the second-best place to live in the U.S. for 2017. Westminster is about 20 minutes away from Denver, which is the commercial, financial, industrial, and governmental center of the Rocky Mountain region. 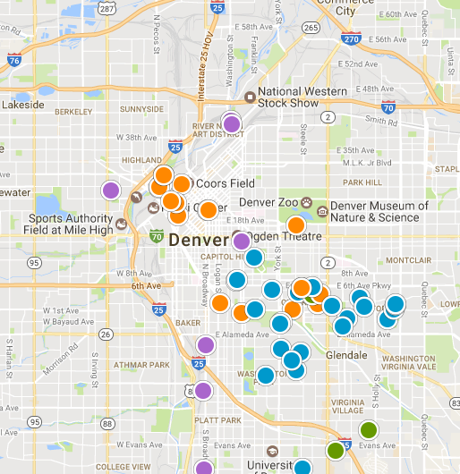 People can go to Denver and spend time at sporting events, shopping centers, or performing arts venues. To the west are the Rocky Mountains where there are plenty of opportunities for skiing, hiking, fishing, and watersports. For those who want to stay close to home, Westminster has public and private parks, golf courses, and it has over 80 miles of designated on-road and off-road trails winding through the city. The largest school district in the city is Westminster 50 School District. Adams 12 Five Star Schools and Jefferson County Public Schools are the other two districts in Westminster. Westminster 50 has 12 elementary schools, three middle schools, a K-8 STEM academy, and two high schools. The total number of students enrolled in Westminster 50 is 9,504. The median single-family home sales price in Westminster is $325,000, which is a 14% increase over the past year. Westminster home buyers will find everything from modest starter homes to luxury estates. Many of the neighborhoods in Westminster are nestled in and around the many parks and opens spaces throughout the city. Want to see the latest Westminster housing market activity? Create a free custom market report for YOUR neighborhood or area!